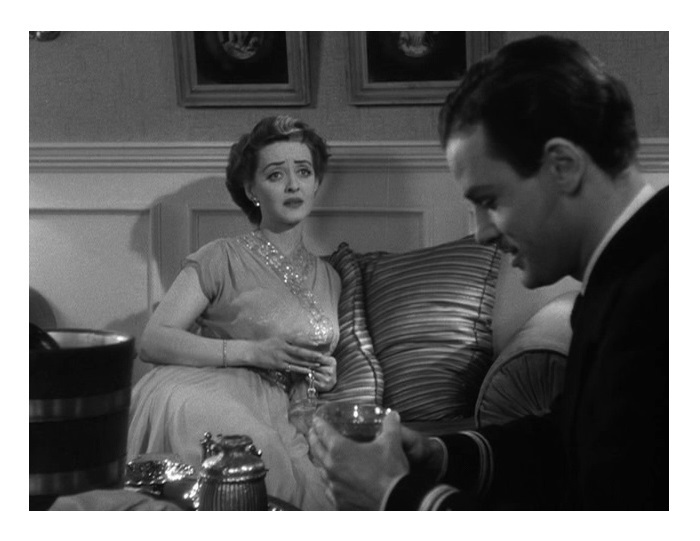 Kit Marlowe (Bette Davis) is a critically acclaimed author of books that don’t sell well. Kit’s best friend Millie Drake, played by Miriam Hopkins (Trouble in Paradise), has exactly the opposite problem; Millie’s best-selling books are ridiculed by the critical mass. The authoresses fight each other over a period of almost two decades. Old Acquaintance reunited the stars of The Old Maid (1939) for another acting match, and just like in the first movie, there is something irresistible about seeing these two actors interact together. 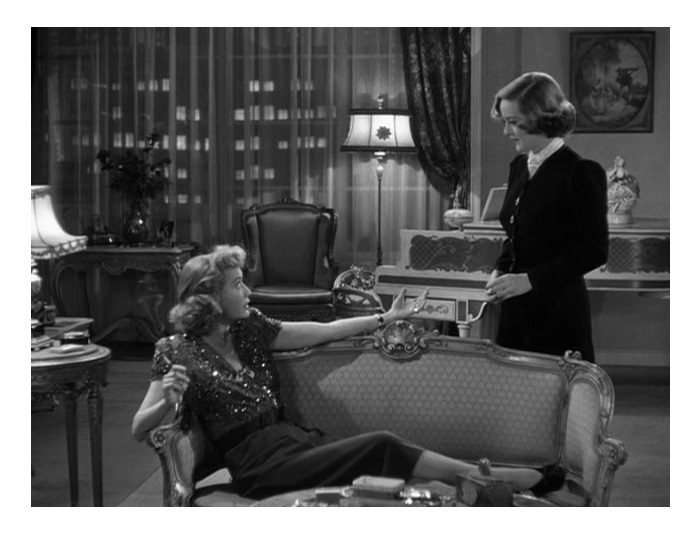 Bette Davis and Miriam Hopkins are technically and stylistically different yet they have insanely great on-screen chemistry. Directed by Vincent Sherman (Adventures of Don Juan and The Young Philadelphians) from a screenplay by John Van Druten and Lenore J. Coffee, based on Druten’s 1941 Broadway play of the same name, Old Acquaintance is a story of choices, love, guilt, remorse, unfulfilled dreams, and, of course, friendship. Now that I’m a middle-aged man (and I’ve experienced many ups and down, decisions, resolutions, disappointments), I have a better understanding of the characters’ many problems — the film is full of life’s truthisms. What I particularly liked about the movie is that the drama is built around the really interesting and complex relationship of two friends. Thanks to sharp writing and good characterizations, you understand why these two very different people remain friends for such a long time. Being a man, I also liked the idea of seeing success and failure through women’s eyes, bringing attention to issues that don’t normally affect me — you can always learn from other people when you see things from their perspectives. 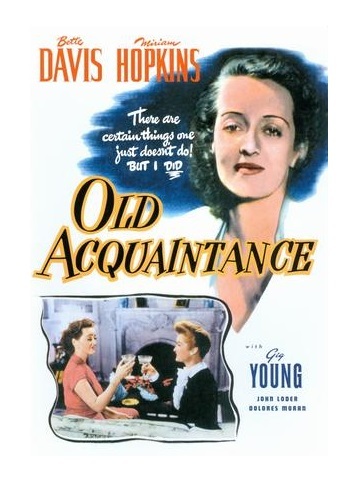 Although Davis and Hopkins disliked each other in real life, Old Acquaintance is full of warmth and humor. You don’t doubt for a second that they are life-long friends, and that’s great acting in itself. The ladies have different acting styles that complement each other and that makes the whole thing compelling to watch. Davis is very good. She later said that Kit was very much like herself. In one scene she appears to wear nothing but (male) pajama tops — it shocked ’40s audiences! Hopkins gives a brilliant performance. She brings a gorgeous self-absurdness to the part of the novelist of trashy books. Interestingly, this is Hopkins’s very last starring role; she went to Broadway and returned to the big screen in supporting roles. The cast also includes John Loder (How Green Was My Valley), Gig Young (They Shoot Horses, Don’t They? 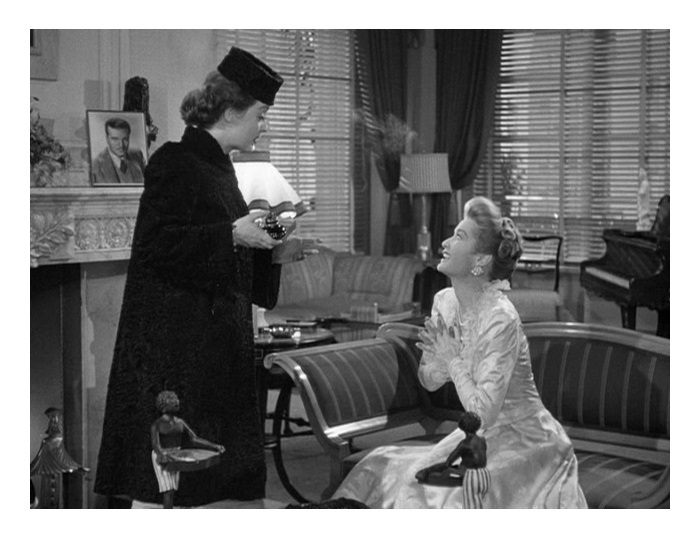 ), Dolores Moran (Silver Lode), and Anne Revere (National Velvet). Davis’s Kit says, “there comes a time in every woman’s life when the only thing that helps is a glass of champagne.” And sometimes the only thing that helps fight the doldrums is a good, intelligent, fun movie like this one. Old Acquaintance is an intelligent and very entertaining comedy-drama. Remade in 1981 as Rich and Famous, Jacqueline Bisset and Candice Bergen. B&W, 110 minutes, Not Rated. I agree that Davis and Hopkins give you every indication they’re lifelong friends. They’re both fabulous in this film and, like you said, they play well off each other. I really enjoyed your thoughtful review. You’ve made me want to see this one again! One of my faves! Love the interplay between Davis and Hopkins especially knowing their personal relationship. Yes. Davis and Hopkins make a great screen couple! Perfect for a Sunday afternoon!